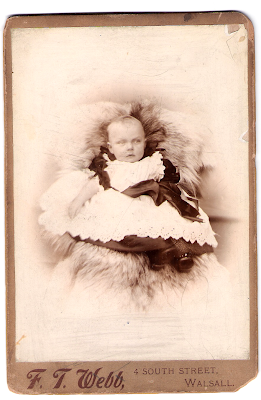 Unknown Infant. Photograph. Walsall, Staffordshire, England. Digital Image. Privately held by Kathryn Lake Hogan UE, [ADDRESS FOR PRIVATE USE,] Windsor, Ontario. 2008.